Plumbers in Battersea are in sure supply at The Handy Squad. We have been providing an efficient level of service within the area since 2005. 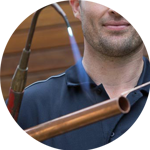 Our highly skilled team is ready to take on any plumbing job in SW11 to an exceptional standard. 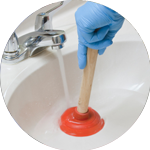 Our team have a rounded level of knowledge and expertise, allowing them to provide a wide range of plumbing services. 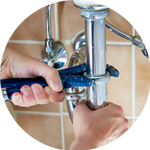 Your plumber in Battersea will be able to assist with anything related to; Replacements, Unblocking, Installations and Repairs. Battersea is located on the south bank of the River Thames. The area is known for the iconic Battersea Power Station, which was constructed in 1939. 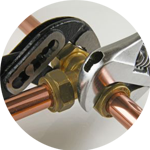 Plumbing is just the beginning when it comes to the services available at The Handy Squad. We also have our famed Handyman in Battersea as well as carpenters, decorators and electricians in Battersea. Our selection of services allows us to undertake work on a multitude of jobs and ensure any commercial or domestic building remains issue free. To book either your handyman, carpenter, decorator, electrician or plumber in Battersea, fill out our online booking form.